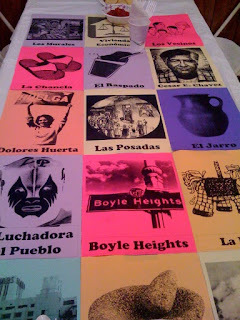 Community Cultural Wealth: Knowledge, skills, abilities and contacts that Chicano/a students have to navigate through institutionalized systems, surviving and resisting macro and micro forms of oppression. The drama students face in their day to day lives of caring for family, responsibilities and non-university responsibilities can be understood, but also seen as assets that aid students in their journey to help them succeed. Familial Capital: Having family support thought those hard times does make a plays a huge role in keeping studnets motivated and in school. Little things like living at home, having a place to study and not worry about food make tremendous impacts. Social Capital: Everyone helps each other out by helping them navigate through the system. Whether it's by recomending certain classes and teachers, where to get certain things and how to go about getting other things. Friends play another instrumental role and they also provide emotional support. It's easier to make it when you have friends to help and support you through those hard times. Navigational Capital: Knowing how to use the system to your advantage, when the system is set up to shut you out. Help from friends and others who have been through it come into play. We all share war stories and warn others and prepare them for when they get to that level. Resistance Capital: The act of questioning the status quo, realizing that things are really fucked up in some cases, fighting against it and resisting oppression. Learning how to over come it, continue on fighting it and making strides to change it by getting to levels and positions where we can make those changes and make them stick. This is perfect timing. I am writing about my ideal school, and harnessing the community's cultural wealth is a key part of it.